Whilst many industries are wishing their customers a very Merry Christmas and thanking them for a prosperous year, our gloriously snowy 2017 ski season in Meribel is just beginning and we have so much to look forward to… 2016 has been a bit of a rollercoaster for world events, but here on the Three Valleys we’ve had a beautiful summer and the 2017 ski season in Meribel is already looking epic; snowfall is great and the conditions are shaping up to be the best we’ve seen for a long time. Take a peek at this schedule of events to whet your appetite and get you amped and ready for the ski season in Meribel in 2017! 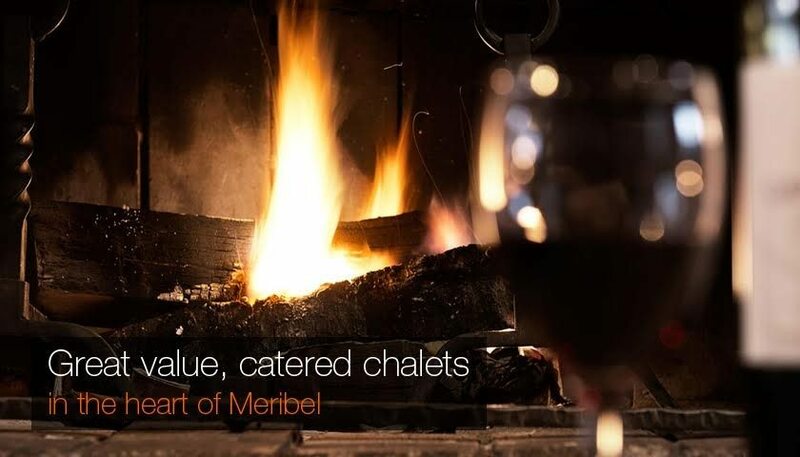 Here are some of our favourite things about Meribel that we can’t wait to share with you all…. Since the slopes opened on 10th December we’ve had friends both new and old tell us how excited they are to come to experience the 2017 ski season in Meribel. Whether your group comprises old school friends who you’ve known for years, or several generations of the same family who have joined together for a milestone celebration; all coming together to relax, unwind, eat, drink and of course ski is what makes a fully-catered ski holiday in Meribel so special. Christmas in Meribel officially starts at the beginning of December when the Christmas lights are s witched on and the night is marked with vin chaud, hot chocolate and music. 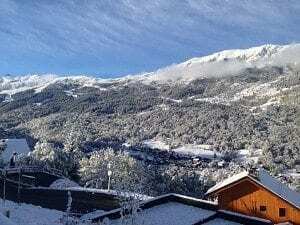 People visiting Meribel at Christmas can look forward to Christmas concerts, festive markets and live music throughout town as the resort gears up for Christmas and New Year. Children find Christmas in Meribel so magical; from making igloos in the snow to a warm drink and bed time story books by the fire, an Alpine Christmas is magical for children of all ages. As well as families gathering for a truly magical Christmas here in the Alps, we also have lots of excited revellers arriving for New Year’s Eve in Meribel – so much fun to be had! A Ski Basics holiday is far from basic. We have impeccably high standards and our reputation for exceeding expectation is unparalleled. Each one of our chalets has been handpicked for their classic alpine feel, superb location and charismatic interior. We have a new catered chalet in Meribel for 2017 which is proving extremely popular; Chalet Le Bouquetin is one of our newest chalets and designed with a smorgasbord of thoughtful additions that make it so stylish. With its separate dining and living area (and even a fully equipped playroom! ), Le Bouquetin is a beautiful catered chalet just perfect for up to 14 guests. Our highly-trained, professional, friendly chalet hosts will warmly welcome you to your new mountain home and are well-equipped to give you insider information about anything from where to find the best powder, to booking that lesser-known little cabin for lunch. From helping with your luggage, showing you around to making you a cup of tea and keeping your chalet bright and sparkling clean, you can rest assured knowing you won’t have to lift a finger for the week. Bliss! Meribel sits at the heart of the world-famous Trois Vallees domain and, with over 600km of pistes on your doorstep, it’s easy to see why guests return year after year to continue their discovery of this inexhaustible ski area. 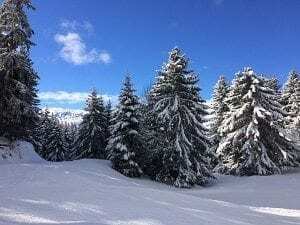 With the exception of beginners and those who’ve had a couple of weeks’ experience, the joy of staying in Méribel is using the resort as a springboard for the area as a whole. Whether skiing or snowboarding is your thing, six pistes in Meribel alone comprise a vertical drop of over 1000m and there are also two snow parks in the valley which will keep the most daring of you entertained. 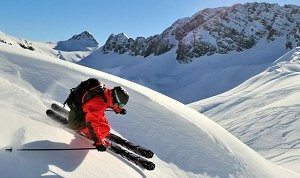 The world-class facilities establish Meribel as one of the ‘must visit’ mountain sports locations in the world and keeps snow-hungry visitors coming back year after year. So all that remains is to say a very merry Christmas and extend our warmest festive wishes to you all. Thank you for all your support, we wish you a happy, healthy and prosperous 2017!